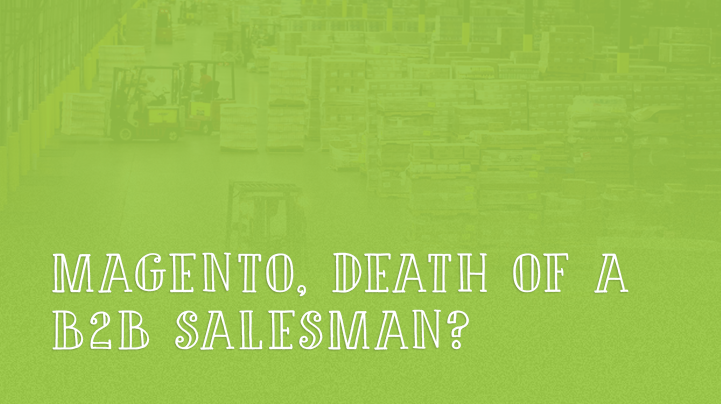 Magento, death of a B2B Salesman? Is your online channel ready to banish your salesman? The times, they are a-changing. And this is still the case, 50 years after Dylan gave us this song. And indeed, many things have changed since then. Shopping, for instance, has changed dramatically! Where once there was a man in a white coat behind a counter we now have giant supermarkets where you serve yourself. That said, we obviously mean “offline” shopping. When it comes to buying online, most B2B companies, surprisingly, still have a 1950’s mentality. Their salesman is still the person you need to see when you want to buy from them! Now this too, according to a Forrester’s report, is going to change soon! In the report it is stated that 93% of the buyers prefer to help themselves. Even B2B buyers would rather buy through a website than through a sales rep. Very understandable of course! When you are a professional buyer, you have done your homework. You know what you need, you know what you want to pay for it, you know where to get it from. Now, if only the deal could be closed online you’d be a happy buyer. But how frustrating it is when the selling company doesn’t allow you to buy it online! Why all the hassle of picking up the phone, having another visit of their salesman, talking things through that are already clear?! This clearly is trying to offer a 1950’s service to people that prefer a 2015 speed! Please hear us, we’re not saying service doesn’t matter. It does, big time. But it can and should be done better, and preferably online. There are two sides to this coin. And when flipped well, two sides will win! The buyer wants ease, speed and a no-nonsense approach to doing business. So, give him a webshop that enables him to buy. The seller wants margins, a smooth sales process and happy customers. So, use a webshop that can help you have that! Want to get started? Try Cart2Quote for free! Is the B2B salesman here to stay? B2C companies, and their websites, are very much geared towards selling online. Webshops are created to serve customers’ needs, and it seems to be going great! Most of the time customers will not even speak to, or have email correspondence with, a salesman. B2C companies have found out that this saves much time and money. Time and money that is invested in online services, smoother processes, better quality of products and services and, not unimportant, better margins. The buyer wins, the seller wins. Now what about B2B? Because that is a whole different world indeed. Most B2B companies have a smooth looking website and some even might have webshops. Yet the majority of sales is still done by their sales reps! There may be different reasons for that. Customers might, by default, still pick up the phone and tell the salesman what they want to buy. Or, yes they still exist, send a fax. Salesmen that function in these types of roles are called “order takers” in the forenamed report. Their main role is to indeed take orders and process them into the system. Forrester’s report states that before 2020 a large portion of these order takers will be made redundant, simply because there are smarter ways to work. Ways that serve the customer better and that save the seller’s company money. Then, there are the so called “explainers”. Salesmen that go one step further and talk the customer through the whole process and explain why their products meet their needs. They obviously have a part to play but this group too will lose ground to smarter webshops and better sales processes. The “navigators” then go further and not just explain but are part of the whole process. From question to decision they will be there, next to the customer, helping him with the decisions and making sure that all goes well. Even though the human aspect of the navigation-process is unmissable, many things can, should and will be replaced by online processes. Lastly, Forrester in their report use the term “consultants”. This group will probably suffer least from the growth of online processes and better webshops. Yet, the conclusion stands; many B2B salesmen will be replaced by better online sales processes and B2B webshops. Before B2B companies are ready to move forward, they will have to make a conscious decision to indeed be willing to let go of the old. And in many cases, ‘the new’ is a better webshop, and ‘the old’ is the (function of) the salesman. Holding on to the past might cost more than what investing in the new would cost. But before running into the future unprepared, B2B companies should be very aware that merely having a webshop will not do the trick. Even a worldclass platform like Magento is mainly for B2C businesses. When you want to do B2B well through an online channel, extra extensions are needed. An obvious need that B2B sellers have is a good RFQ functionality. This would allow customers to ask for a quote though the website, instead of sending emails or using the phone. Extensions like Cart2Quote help you with just that. This Magento module adds RFQ functionality that B2B companies cannot do without! Your customers want to order online. Will you let them? Will you empower your customers to use your website as a self-service way of ordering your products online? It would be a wise decision to start preparing for this, because in a few years time a huge percentage of sales reps will not be needed or even wanted anymore. Have a read through Forrester’s report and discover the future (they would call it death) of a B2B salesman. So, start giving your customers what they want; a smooth way to order online, complete with RFQ functionality. If you use Magento for your e-commerce, you might want to look into Cart2Quote to add this B2B extension.  Discover here why Cart2Quote is the perfect Magento RFQ solution!